Stop the shopping, ladies! 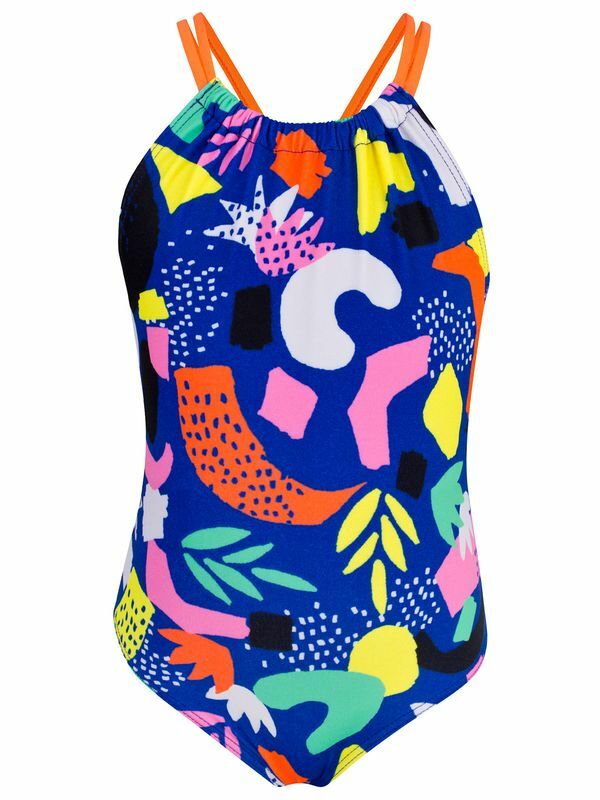 You won’t find a cuter, more vibrant one piece that the crazy fun Rival Fiona Magic Toddler Girls’ One Piece. This royal blue suit features tangerine orange straps and an explosion of confetti and artsy pineapples in bold shades of bubble gum pink, sunshine yellow, pumpkin, snow white, and sea foam green. Just like your little girlie girl, the Rival Fiona Magic Toddler Girls’ One Piece is more than just a pretty face. Made with top notch chlorine resistant Rival fabric with premium UV protection, this one piece will stay looking flawless for ages! For the past 20 years Rival has been producing high quality Australian made swimwear that is built to last the distance. No matter if you are a casual swimmer looking to swim a few laps down at your local pool or a more serious competitor, Rival has the swimwear to get you in the pool and reaching your potential.